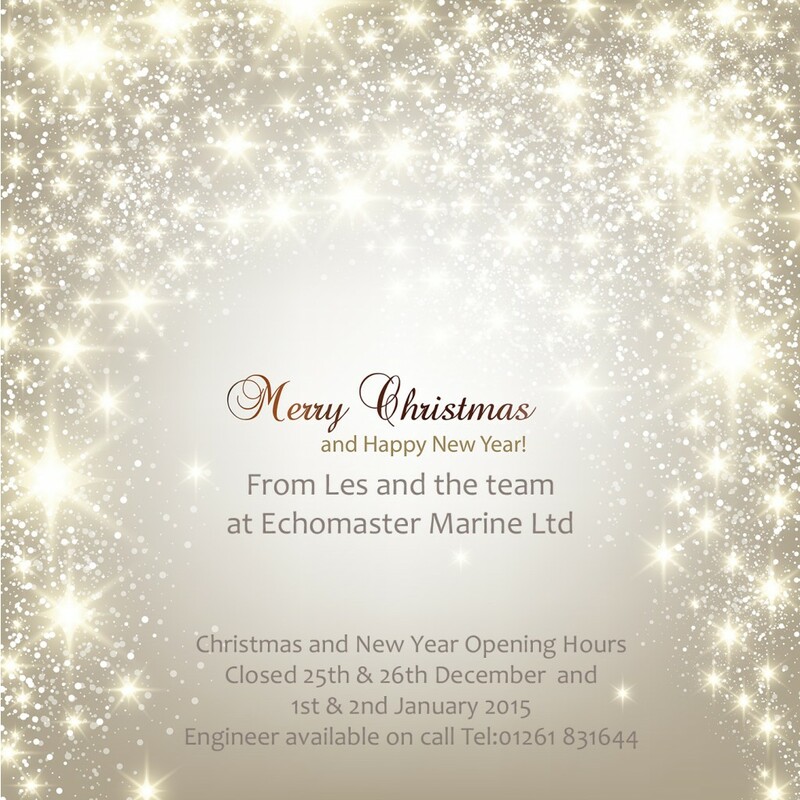 Les and all the team at Echomaster Marine would like to take this opportunity to thank all our customers and dealers for their business and support throughout 2014. We are looking forward to a great year in 2015 when Echomaster Marine will be 10 years old. 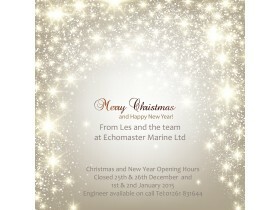 The Echomaster Marine offices will be closed on 25th & 26th December and 1st & 2nd January 2015. Should you require service assistance during this period please call our office number on 01261 831644 where you will be diverted to the on call engineer. Thank you very much once again and we hope to hear from you in 2015.